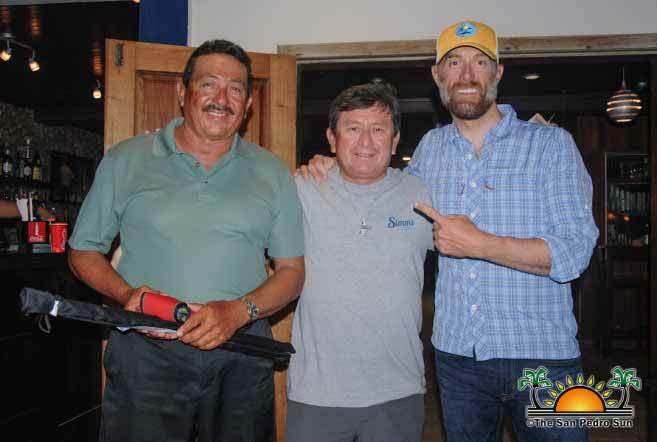 44 anglers participated in this year’s 9th annual Tres Pescados Slam Tournament, the only international fly-fishing event in Belize. Held from Thursday, August 3rd to Saturday, August 5th, the three-day fishing tournament saw different participating teams attempting to land the best slam in order to claim the top prize. After three days of intense competition, it was team Tarpon Club who took home first place and top prize of $5,000 cash. According to most of the participants, day one was the best day as the weather was very cooperative and lots of fish were caught. The other two days of the tournament saw unfavourable weather, and the catches were low. However, despite bad weather, team Tarpon Club: Nano Guerrero and Alejandro Vega, managed to reel in a good catch to lead the competition. On Saturday, August 5th, anglers tried their best to earn their final points. Despite the uncertain weather, participants kept trying, catching and releasing in hopes of landing one of the three top prizes. At the end of the competition, a total of 48 Bonefish, 11 Tarpon, and 5 Permits had been caught and released.